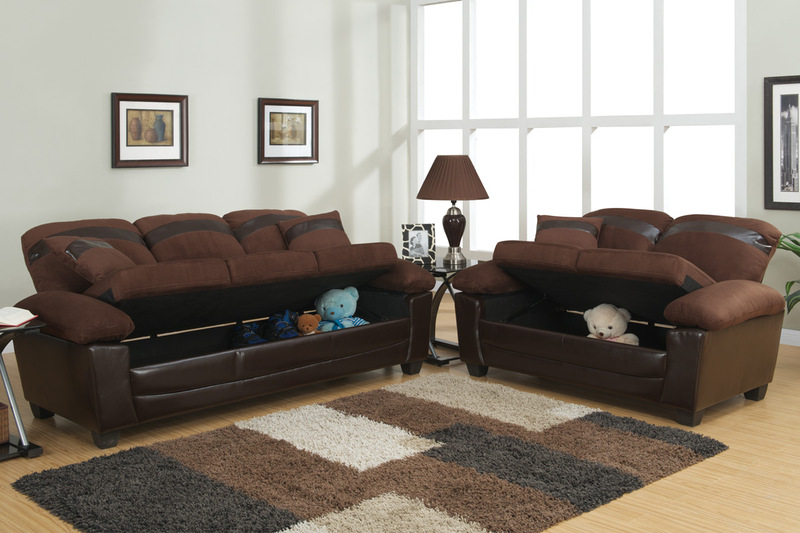 Captivate your guests with this stylish colored microfiber sofa set with over sized arm, back and leg supports. 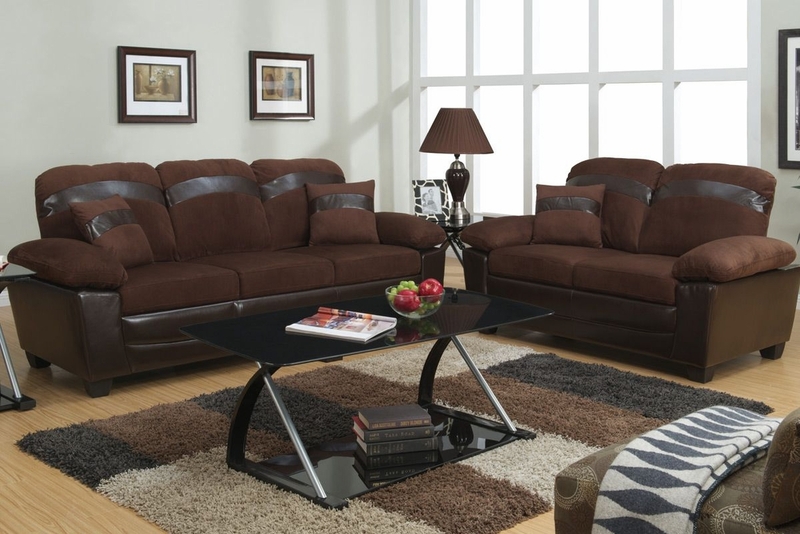 It features a dark brown brown frame and matching accent horizontal stripe across the back supports and on the complimentary pillows. Lots of extra storage! Add a matching coffee table set to complete your living room.